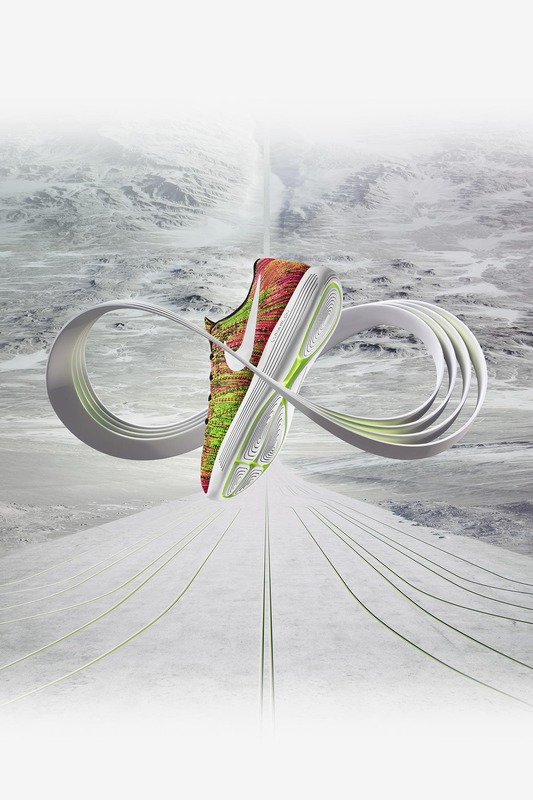 The Unlimited aesthetic came to life when Nike’s design team studied this idea of the body in motion and the environment for this summer’s competition. 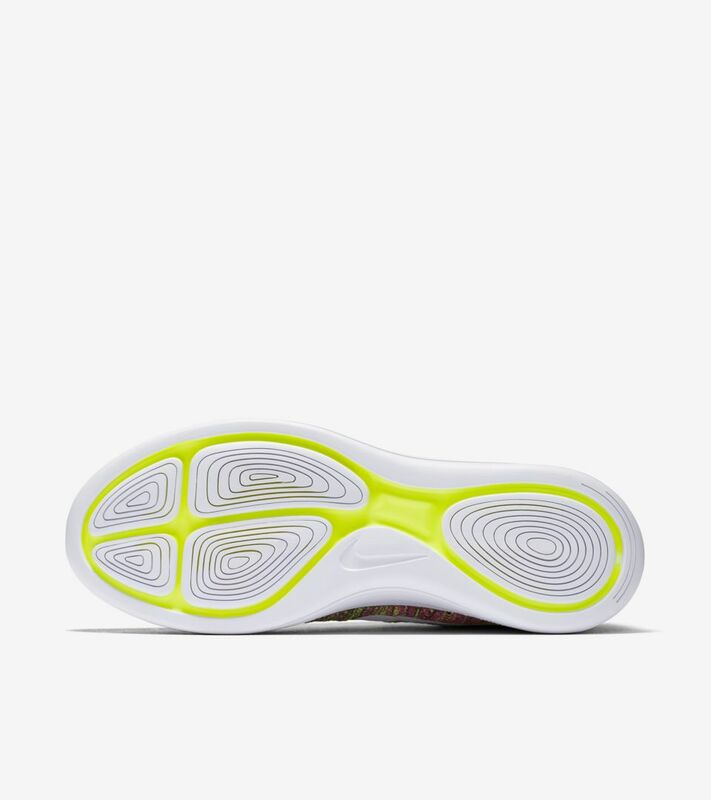 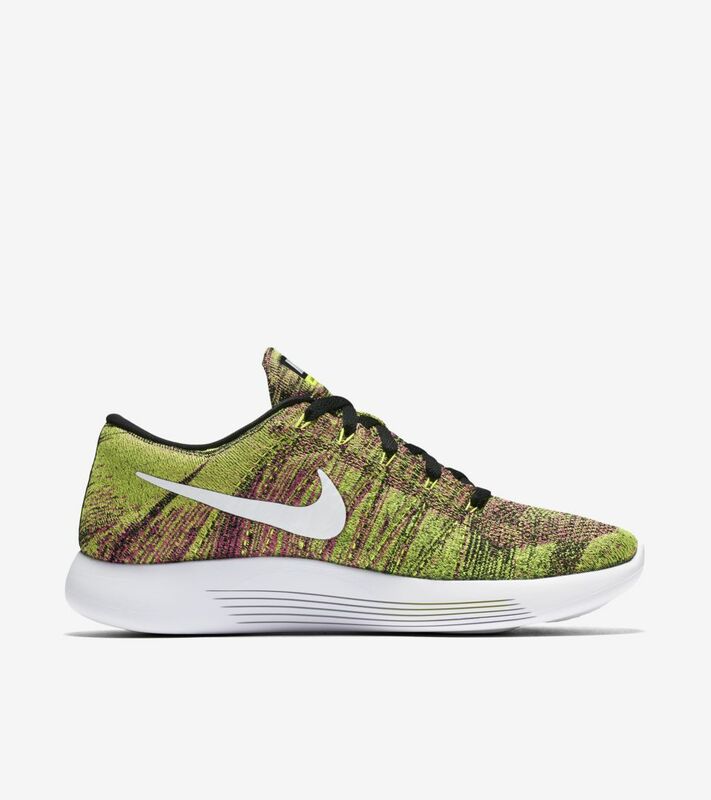 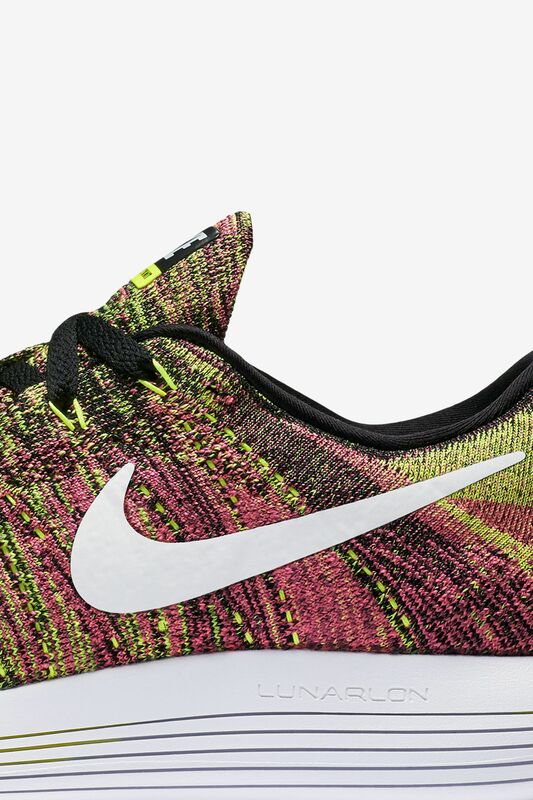 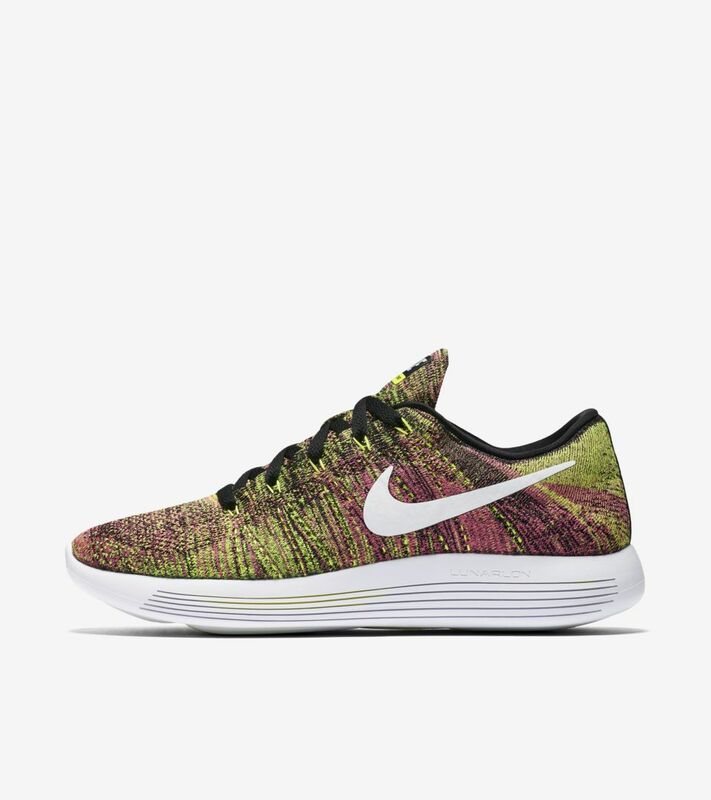 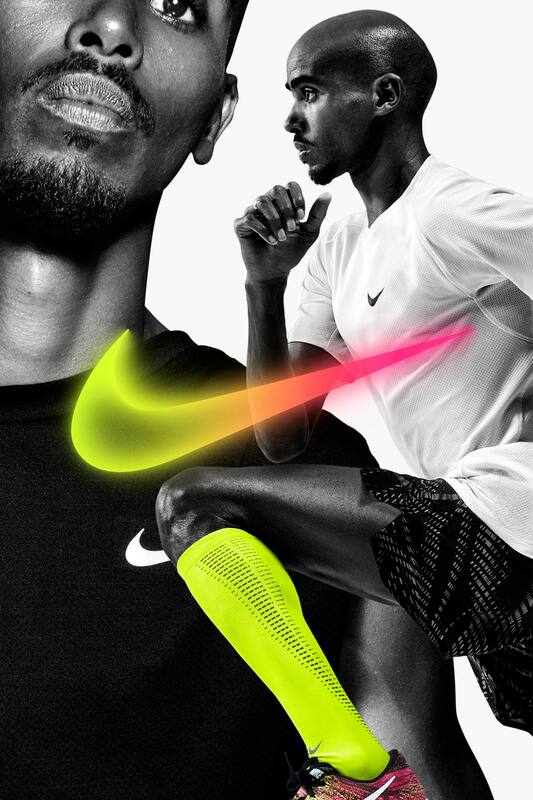 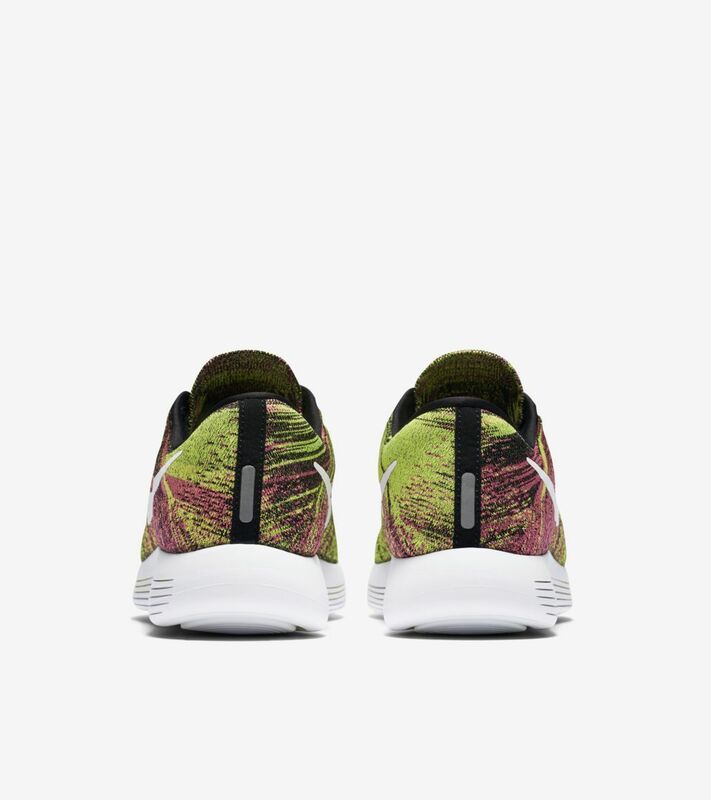 Created with this summer’s global competition in mind, the color palette blends Nike’s iconic volt hue with hyperpunch to create a color palette inspired by the birds and beetles that fill rainforests. 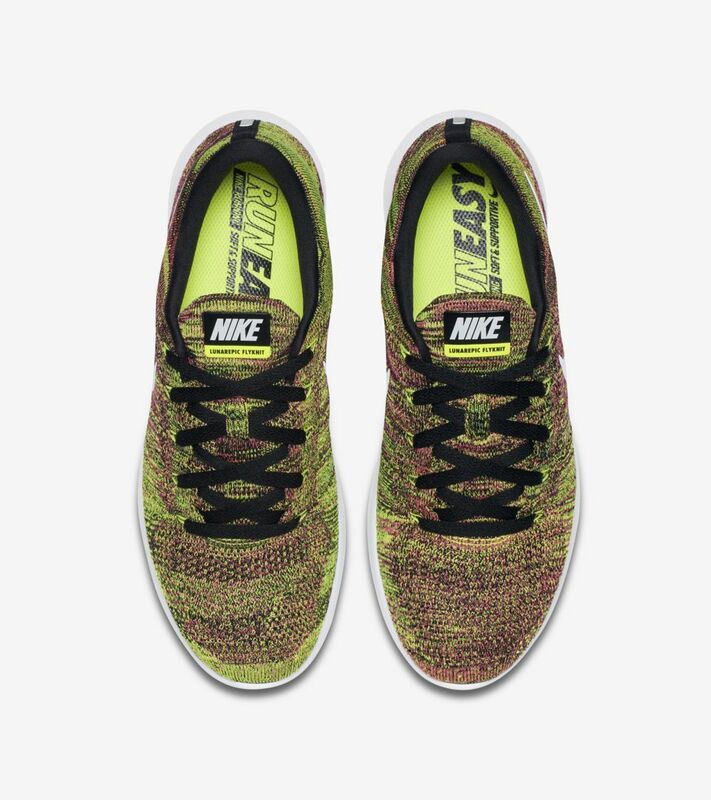 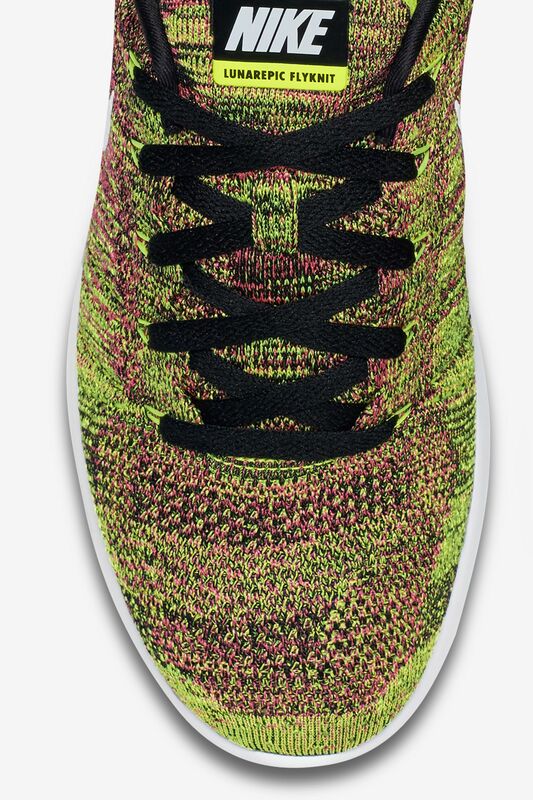 The new LunarEpic Low Flyknit brings the vibrant tones to life, featuring a full Nike Flyknit upper in a knit blend of volt and hyperpunch hues. 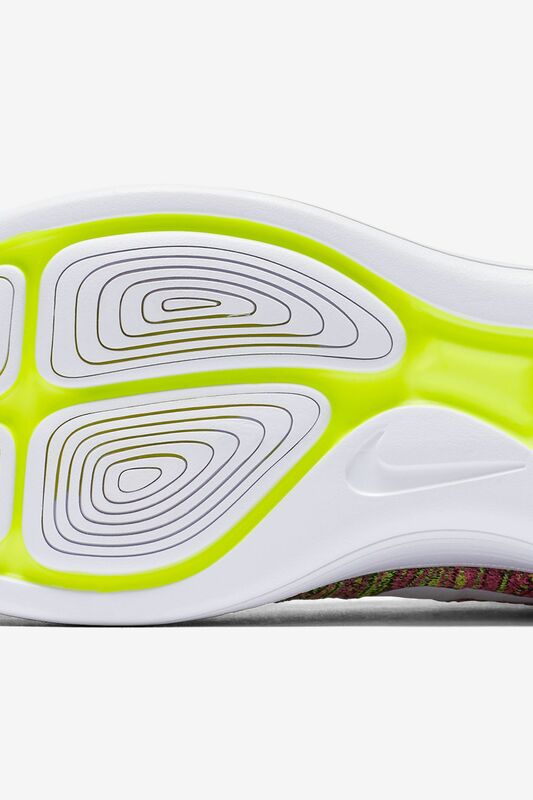 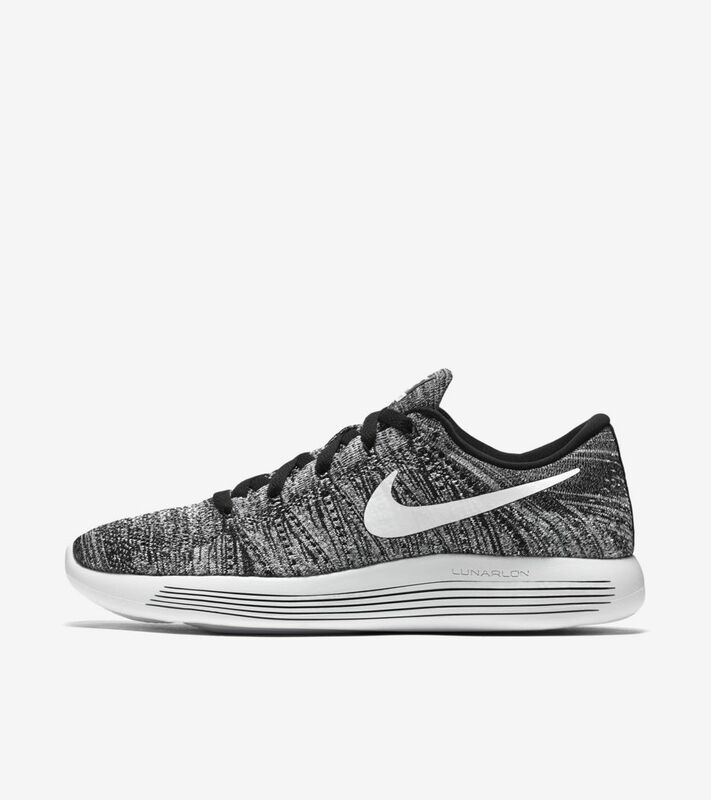 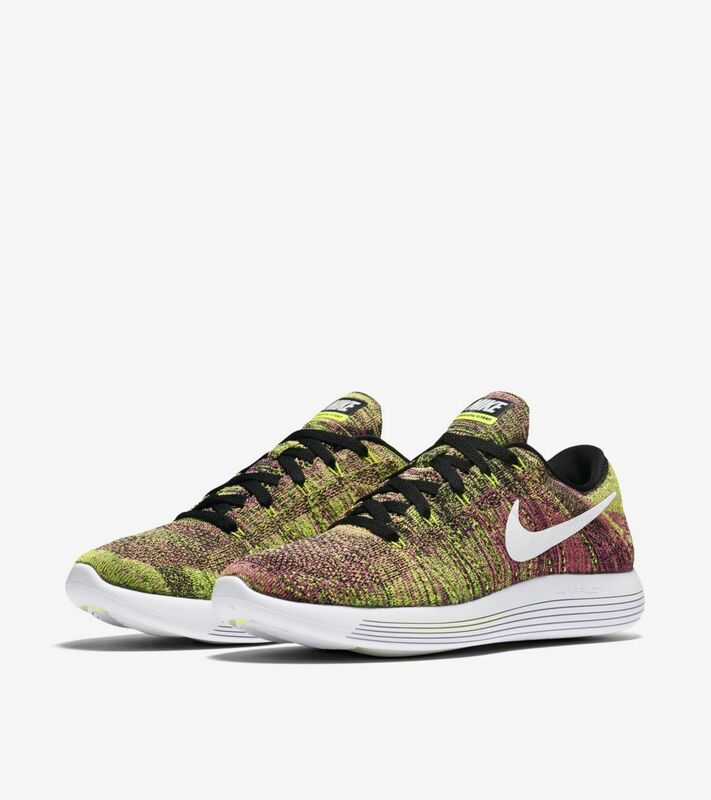 The energizing display is completed with a lightweight Lunarlon midsole featuring a pressure-mapped, laser-cut sole to amplify cushioning where it’s needed.